Inflation indicators are used frequently when trying to predict a direction of a currency in the Forex day trading. These indicators are a very integral part of fundamental analysis and of using economic indicators in general. Inflation has a substantial effect on various economical factors, including on the interest rates, on unemployment, as well as on the online Forex currency price. What is inflation? Inflation is the rate of increase of the general price level of all goods and services. For example, if the price of seeing a movie used to be $5, inflation raises that figure to $7, even though the service itself stays the same. Forex trading Inflation indicators measure the inflation level of a specific country's currency in a given time. Inflation is raised for several reasons, which are not relevant for the current issue. In order to deal with inflation, reaction usually involves raising interest rates. This means that the specific currency in that country rises because of the interest rates. 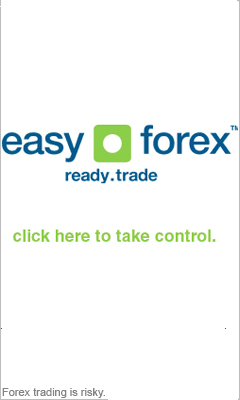 This is the short term affect that can be seen almost instantly in the online Forex market. After a while, when the interest rates are high, the currency is thus sold, and then it drops again. This means that in the long term, an increase in inflation indicators means a drop in the currency. Producer Price Index (PPI) - Manufacturing price changes are monitored by this Forex trading indicator. Manufacturing prices are great measures for inflation indicators, and give online Forex traders a preceding tip about the inflation level. Gross Domestic Product (GDP) - This Forex trading indicator measures the total market value of all goods and services that are made by companies inside a country. This inflation indicator is a good measure of the growth of a country, and informs about the possible future movements of inflation indicators. Consumer Price Index (CPI) - This indicator marks the average price that consumers pay for a fixed basket of goods and services. This economic indicator is a good reference for inflation levels, and when inflation rises, usually the CPI does as well. The CPI is calculated for prices of food, shelter, clothing, fuel, transportation, and medical services that are used by consumers of a certain nationality.